WE DEALS IN SALE AND PURCHASE OF FLATS AND PLOTS IN ZIRAKPUR, PANCHKULA, MOHALI, KHARAR, NEW CHANDIGARH OR CHANDIGARH. WE TRY TO GIVE YOU BEST OFFER FOR VALUE OF YOUR MONEY. 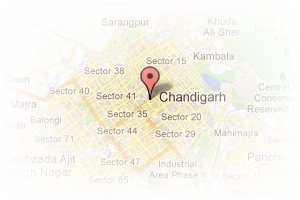 Address: SCO- 167-68, Sector 8, Chandigarh City, Chandigarh, India. This Broker Profile page for "New Property Junction" has been created by PropertyWala.com. 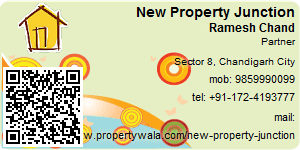 "New Property Junction" is not endorsed by or affiliated with PropertyWala.com. For questions regarding Broker Profiles on PropertyWala.com please contact us.